Gone are those days when you would have had to go over to a video rental store and search through the monotonously lined shelves of video CDs spending what would have felt like an entire day to find your favorite movies. The Internet era has eliminated this odious necessity since now you may rent DVDs on a monthly basis directly through your mail for a fixed flat monthly rent. Even better, now you have the advantage of directly streaming the movies through the Internet and watch it over your high-definition televisions. A service originally started by Netflix under the "Watch Now" feature which allots its subscribers to watch streaming videos for free for a definite time span in a month. 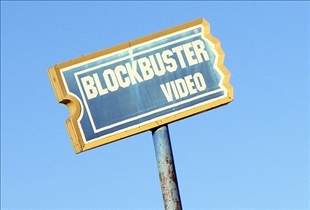 Soon the race was joined by Blockbuster and Amazon On Demand who have took the market by storm. The intense competition between these three market leaders have brought about some amazing competitiveness and benefits to its subscribers. Here it is Netflix that definitely deserves applause, since Netflix has enhanced the streaming ability from your Mac or PC to your HDTV as well. Besides the movies that you initially choose to rent, you may choose from over 12,000 fixed movie and TV show titles that would be streamed to your laptop for free i.e. without any additional cost over your rental. Amazon on Demand offers a choice of 10,000 movies and shows except that its Roku player menu offers you to choose the movie directly. Netflix also provides the Roku player but without the option to choose a movie if once started playing. However, the streaming cost of Amazon sort of overshadows it's player's features. All three giants offer a variety of plans. Netflix's most favored plan is the "3 at a time" plan which is rated $16.00 per month. This plan offers free unlimited streaming plus the movie rentals (limited to 3 at a time) which you receive via mail. Blockbusters offers a similar plan at a slightly higher rate of $19.99 per month, with all the terms and conditions remaining the same as that of Netflix with the exception that you are allowed to exchange the movies however at $1.99 per movie if its more than your regular movie limit. As for Amazon, the streaming of videos is charged from $3.99 to $0.99 per movie or TV show. Amazon scores low in this regard when the same number of movies can be streamed from Netflix with no additional cost. But it should also be noted that Amazon does offer a larger choice of premiums as compared to Netflix. Considering the overall market share, it is Netflix that is enjoying the larger share of the cake. Its cheap plans, large range of TV shows with optimum clarity outshines its drawback of reduced movie diversity. It seems like Amazon will have to face a tough time so as to gain over the others and might as well loose the race if they don't revise their rates. If customers find it difficult to choose from Blockbuster, Netflix and Amazon, then the best would be to go for their trial offers. It really gives an idea as to which of them offers the best service and is the most cost effective. Which streaming service provider has the best variety? i wasn't sure about video on demand but it is soooo convenient! i don't know how much netflix will charge eventually but it's on the right track. This approach is vulnerable to the pricing policies of the Internet Service Providers (ISPs) (mostly the cable companies and DSL vendors). As unlimited streaming catches on, the ISPs are likely to react. But my guess is that technology will improve, and make streaming cheap enough to be a non-factor. I am impressed with Netflix's variety of online TV shows, but am not really impressed with the amount of New Releases that are on it when it comes to movie selections..
Netflix LACK OF CONTENT doesn't have enough new releases, mostly old movies that everyone has already seen. Won't renew my subscription. I had Netflix for about the past year, recently making the switch to the Blockbuster Movie Pass, and I don’t think I’ll ever go back to Netflix. Not that it’s a bad service, but it just doesn’t really compare in my opinion, which I understand could be considered biased, since I work for DISH Network. But even though I get most of my programming from my dish, I love having options (hence the reason I had Netflix to begin with). The Blockbuster Movie Pass is flat-out better. For less money every month, I get unlimited rentals by-mail with the options for in-store exchanges, (something you can’t do with Netflix), video games (again Netflix doesn’t have it), a quickly growing streaming library, and a bunch of more traditional movie channels. It’s a no brainer for me.